1 Is Homeopathy Suitable For Everyone With Depression? 1.1.2 Is Homeopathy Suitable For Everyone? 6 What Is Post Partum Depression And What You Can Do About It? Is Homeopathy Suitable For Everyone With Depression? While homeopathy opens up so many doors to new solutions and opportunities for getting better and curing your depression, some argue that it is not suitable for everyone. This would make sense, seeing as there is no drug or cure for every ailment out there. Some people have symptoms that simply cannot be cured with a pill or a new life scenario. But then again, if these symptoms cannot be cured through the many doors of homeopathy, what is the answer for them? This is a question that has been raised so many times since homeopathy was first presented, and it can kill hopes of many patients. Experts are working hard to find more solutions and drugs for symptoms. Homeopathy seems like the answer to everyone’s depression problems because there are so many different things that can be tried. The top eight drugs featured in homeopathy include Pulsatilla, Sepia, Phosphoricum Acidum, Aurum Metallicum, Natrum Muriaticum, Calcerea Carbonica, Ignatia, and Staphysagria. All these drugs do different things, and cure different symptoms. But there are many more drugs used for homeopathic treatment than just the eight listed above. Among these other drugs range things from Kali Phosphoricum to the venom of the very poisonous Lachesis muta snake. On top of that, homeopathic doctors do not rely solely on drugs for the cure of their patients. A good, devoted doctor will go to any lengths possible to find the cure for their patient. Other remedies include therapy, diet, exercise, family, friends, music, and even soothing drinks. With thousands of combination options, the possibilities for happiness through homeopathic treatment seem endless. There are certain problems that can arise while administering this treatment. First, this treatment is time-consuming and will require research and delving deep inside a person. Unfortunately, patients with extreme depression sometimes need help immediately and do not have the time to wait for homeopathic experiments to begin working. Second, the method can be expensive. The drugs used in most homeopathic treatments are not commonly found, so naturally they’ll cost a good deal of money. Some patients, or some families of patients, do not have the funding necessary to make the treatment work. Third, depressive people often can get into strange moods. Extreme cases will become homicidal / suicidal at times. When one becomes suicidal, they may do things to hurt themselves. Sometimes depressive people have feelings of hopelessness and worthlessness. This can present problems while being treated with homeopathic methods. The patient may stop taking the drugs or stop engaging in scenarios that are designed to help them get better. They may do this because they want to kill themselves, or they may do it because they figure there’s no point to the treatment, and that it won’t work. This hopelessness can commonly be found during the first few days of the treatment, when people often feel worse than they did before taking the drug. This is because the body is adjusting to new things and is trying to get used to the medication. Well, that answer is obvious. No. Most people will and can be helped by homeopathic methods, but others cannot be, and it is not always their fault. Sometimes, there are just not cures for the symptoms these people have. But, if they are willing to try, the treatment will most likely work for them, and if not, doctors will work with them to find one that does, if possible. Doctors suggest homeopathic treatment over pretty much any other type of treatment, and definitely before giving up completely. Many people have a hard time trying to understand exactly how homeopathic remedies work. Much of this confusion has to do with understanding the strength of homeopathic remedies. There is a lot of confusion associated with understanding homeopathic remedies and the different strengths. Is it better to get a higher strength or a lower dosage? This is part of why homeopathic medicine can seem so counterintuitive to some people. In most cases, homeopathic remedies with lower properties tend to work better. One of the main tenets of homeopathy is that lower doses do more to stimulate good health than higher doses. 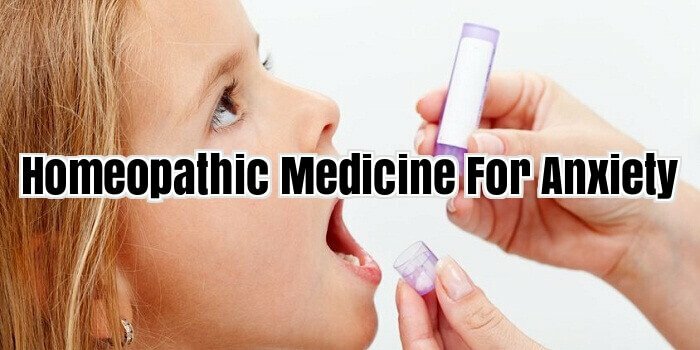 Before you get started in homeopathic medicine, it helps to understand how the potency of homeopathic remedies is determined. All homeopathic medicines, no matter from where they are derived, are diluted to the extent that it would be simply impossible to experience side effects from the medicine, even if it is toxic in nature. It helps to understand exactly how homeopathic remedies are made. In most cases, homeopathic remedies are made with extracts of a natural ingredient. These are dissolved in a mix of water and alcohol and then left to stand for several weeks at a time. During this standing time, they are shaken and then strained occasionally. This original strained solution is known as the mother tincture, from which the homeopathic remedy is derived. In order to make a homeopathic remedy, the mother tincture is diluted in order to make different potencies. 2. How are homeopathic potencies measured? If you pay a visit to your local health store, chances are that you will come across several bottles and packages of homeopathic remedies that list a broad range of potencies. What do all those numbers means? Here is a quick primer on understanding those homeopathic potencies. You should know that dilutions are measured according to a variety of potencies. Most homeopathic potencies you run across will be listed in decimal, centesimal or on a millesimal scale. When it comes to the decimal scale, the remedies will be diluted to the ration of 1:10. On the centesimal scale, the remedies are diluted to 1:100. On the millesimal scale, the homeopathic remedy has been reduced to 1:1000. How do you know which potency to take? This will depend on a number of factors, including your specific symptoms, lifestyle and physical and emotional health. In order to find the right potency for you, consider paying a visit to a trained practitioner of homeopathic medicine. A homeopath can help you define your specific symptoms, evaluate your physical and emotional health and help find the perfect match for you. Always follow the directions from your homeopath. If you are self-prescribing, make sure to follow the directions on the bottle or package. In general, all homeopathic remedies should be taken for a period of two and four weeks. Very rarely will a homeopath recommend that you take homeopathic remedies for a long period of time. In general, you should seek to reduce the frequency of your potency as you begin to see any measurable improvement. In the treatment of some acute conditions, you may actually begin to feel benefits within a day of treatment. Expect treatment to take longer for chronic or more serious conditions. You should immediately stop treatment if you notice any aggravation. If you notice that your condition has improved but you notice no other improvements, you should consider lowering your potency. During homeopathic treatment, it is important to monitor your symptoms carefully and continue to lower your dosage until your condition has improved fully. Homeopathic drugs and therapy is a type of treatment for almost all kinds of depression. These methods utilize different combinations of natural pills, music, certain people, foods, etc. The combinations vary depending on the type of depression and the symptoms involved. People afflicted with depression who does not want to turn to drugs and prescriptions or therapists usually go for the homeopathic treatment. This treatment is sometimes called ‘placebo therapy’, since everything is natural and the body and mind’s reactions are normal. Since most depression is some sort of chemical imbalances within the brain, most homeopathic drugs will work with the brain and the body’s defense systems to work towards a cure. These drugs are natural minerals and chemicals found within the human body and will work with the body instead of working against it or trying to override or manipulate natural chemical processes. This drug keeps working. There are no addictive chemicals, meaning that you will not have to keep taking it every time you want to feel better. As with any type of drug or therapy, safety is a huge issue. There have been cases that have claimed to develop unrelated diseases or problems while utilizing this type of therapy. These have included skin rash, shock and pancreatitis. These problems have mostly been reported when the drug was administered with almost no dilution, or something else to level out the potency of the drug. Immunization or injections seem to make the drug more dangerous. It is believed that homeopathic treatment should not be used to treat serious diseases when anything else is an option. This injection has been believed to cause problems such as infected body tissues and vomitus, among others. One case of this states that a woman was administered a homeopathic injection against an infectious disease in order to avoid it but it seemed to make her more vulnerable to it and was rapidly infected. According to some lab tests, these immunizations were never proved to cure or treat any sort of infectious or potentially fatal serious diseases. It only seemed to make the patients worse or more vulnerable. Serious questions are being raised challenging the effectiveness of this drug. However, these situations took place with those with diseases. The vaccination has never been proven to cure any sort of biological disease. But, with depression, this drug has been proven to work and helps regulate the body. These drugs though, use raw toxins that can be very dangerous if enough is taken or the mixture is not diluted well enough. From a medical standpoint, these drugs are known to be safe. Many generations of physicians have proved their safety and effectiveness. Experiments using higher and lower dilutions have been constructed for decades in an attempt to figure out, on average, the largest does that can be used without the person being poisoned or feeling side effects. The FDA has approved it for use in the correct dosages and administered by a doctor. Although safe, these drugs are not vitamins and minerals that should be taken on a daily or regular basis. According to the medical books, some of the raw ingredients for homeopathic medicines are poisons. But, arguably, poisons are only effective in large enough doses. These medicines must be very diluted and taken in small doses. Modern medicine does not actually know what is happening in the brain that causes depression, at time of publication. Conventional (allopathic) as well as homeopathic therapies include both physical and psychological treatments. Homeopathy has been practiced for over 200 years. This system of medicine was invented in the late 1700s by a German physician, Samuel Hahnemann and encourages people to avoid taking strong medications. It is a system of medicine based on the yet scientifically unproven belief that a substance that causes the symptoms of an illness in a healthy person can be given in diluted form to treat a person who has the illness that produces the same symptoms. Homeopaths believe enough likeness remains in the diluted form between the cure and the illness to stimulate the body’s self-healing capabilities. It is often called “like cures like.” The term atypical depression describes a subtype of major depression that includes features not typical for that diagnosis. It is the most common form of depression, and the incidence is higher in women than men. Atypical depression causes great dysfunction, is chronic, and usually begins in the teen years. It is characterized by the ability to experience improvement in mood when involved in positive situations and by increased sensitivity to interpersonal rejection. Persons with atypical depression are prone to over-eating, over-sleeping, and feelings of heaviness in the arms and legs. The homeopathic approach to depression as well other illnesses are to match the treatment to the person’s mind, body, and complaints. It is believed that everyone gets sick in their own unique way. Therefore, physical and psychological characteristics are assessed to determine what remedy should be used. The following is a list of homeopathic remedies that are available in single or combination form and come with dosage recommendations that should be followed closely: Arsenicum alban, Aurum metallicum, Calcium carbonicum, Ignatia amara, Natrum carbonicum, Natrium muraticum, Pulsatilla nigricans, Sepia, Staphysagria. All of these medications are closely directed toward the physical characteristics and symptoms the person has, unlike allopathic medications that are directed toward correction of neurotransmitter imbalance. Because homeopathic remedies need to be individualized, it is suggested that persons seeking this form of treatment should consult a homeopathic healer. The Council for Homeopathic Certification has a website that provides a comprehensive listing of certified homeopaths for each state. It is recommended that anyone with a longstanding or recurring depression seek care from a licensed mental health professional, and it is imperative that person seeks medical help immediately if they are contemplating suicide. Why are so many people becoming increasingly interested in homeopathic remedies? Homeopathic remedies have steadily garnered more and more attention because they have been reportedly used for treating a variety of disturbances and diseases. Homeopathy has been used to treat everything from diarrhoea to depression. One of the latest uses for homeopathy has been as a viable way of treating post partum depression. Here is a brief overview of how you can use homeopathic remedies to treat your post partum depression. What Is Post Partum Depression And What You Can Do About It? Depression after giving birth is very common. It can last anywhere from a few days too many months. There are many reasons why so many women are apt to experience the “baby blues.” First, many of the symptoms of post partum depression can be attributed to physical changes in the mother’s body that occurs after childbirth. A woman’s body goes through significant changes during the course of pregnancy. Labour causes a lot of stress on the body and hormones tend to shift considerably during and after the pregnancy. There are also a lot of emotional aspects to becoming a mother. Many women suffer from emotional stress, including lack of confidence, anxiety, and ambivalence about the responsibility of becoming a mother, insecurity and worries over money. Some women can even suffer from more serious problems, including real delusions, despair, hallucinations and destructive feelings toward themselves or their babies. Although many problems associated with post partum depression can be self-treated, more serious cases should be treated by a mental health professional at the first sign that something is not right. If you are experiencing low-grade symptoms of post partum depression and you would prefer not to take prescription medications, there are other more natural and safer alternatives you can take. One of these is homeopathic medicines. If you are thinking of treating your post partum depression with homeopathic medicine, consider visiting a trained homeopathic doctor. You will want to visit a homeopath is special training in pregnancy and women’s needs. A trained homeopath can help you find the perfect match for your specific symptoms. There a number of homeopathic herbs that has traditionally been used to treat depression and symptoms of post partum depression in general. Here is a short list of homeopathic herbs that have been used to treat post partum depression: Arsenicum album: This homeopathic herb is most commonly recommended for women who feel very insecure, anxious and worried about their situation. This homeopathic remedy is used for treating those who require support and help, those who appear to be too demanding or picky, those who are accustomed to controlling others and those who are suffering from exhaustion and restlessness. Aurum metallicum: This homeopathic remedy is recommended for women suffering from depression that can be described as dark and full of despair. It is recommended for women with depression that makes them feel worthless, and whose depression tends to worsen at night. Women with a history of depression may be especially responsive to this homeopathic remedy. Calcarea carbonica: This homeopathic remedy is useful for women who are suffering from too much stress, too much responsibility, fatigue and weakness. It can also help women suffering from the symptoms of insomnia, anxiety and bad dreams. Cimifuga: This homeopathic remedy is useful for women who are suffering from depression that stems from both hormonal and emotional reasons. Those who are extremely anxious and negative, or those suffering from feelings of low self-worth, May also benefit from this homeopathic remedy. Homeopathy is a term used to describe a treatment for a cure given in small doses that, when served in large amounts, can actually have symptoms in a normal person that the medicine was given to treat in the first place. Scientists have used this to their advantage to try and find different levels of different remedies for depression. After all, no person goes through the exact same experience as another person, thus no two people are depressed for the same reason. Different levels of depression call for different doses of the cure, so why not make it possible? Well, scientists have in several different ways, and the article below lists the eight best ones. There are a few downfalls to this treatment, however. First of all, homeopathy can be expensive. Next, it requires much time and effort to find just the right dosage for each person. It will probably never become a worldwide treatment because the point of homeopathy is not to assume one dosage for all. Another bad thing is, there are only a few homeopathic treatment centres in the United States, as the cure isn’t big due to the time and financial constraints. This drug helps with people who cry for no reason, experience mood swings, you can’t make decisions, you constantly crave hugs and open air, you miss people such as your parents a lot, you want fatty foods and are never thirsty, and you do not deal well with confrontation and will avoid it at all costs. This drug is for those who find that their only cure for depression is exercise. If you feel constantly exhausted, if you have depression periods prior to your menstrual cycle, you have a sharp tongue when you feel depressed or irritated, you feel as though your relationships are always going downhill, or if you feel like you’re depressed when you first wake up. You have lost all motivation for everything, and have no passion left for anything that you used to love. You have no energy, especially in the morning. If you constantly feel like something is missing, or if you just seem to not care, phosphoricum acidum may be able to help. People who take this drug work hard, but they lose motivation and become irritated when they feel as though they’re not doing a good job. Also, they’re usually always serious and feel worthless. These people can contemplate suicide, especially at night. This drug is for those who never want to cry, and who are quiet when they get depressed. They’re shut off and they don’t want help, and cannot be consoled during periods of depression. Hot weather worsens depression, and they feel as if they don’t have a good bond with their parents. Also, they often dwell on bad experiences or guilt from the past and this can spiral them down into worse depression. Unfortunately, they usually cannot help it. This drug can help when you feel lonely and alone, if you feel as though you can’t take risks because you’ll fail, you put other people’s desires before your own, you don’t go out or leave the house, and if you become more fatigued when you’re depressed. If you always want to be alone, if you cry a lot for no reason, if you’re extremely depressed or overwhelmed by a traumatic event such as a breakup, you constantly feel as though you’re going to cry, or if you find yourself sighing frequently, Ignatia can help you. This drug is designed especially for these types of symptoms. If you find yourself being easily offended, and overreact to insults that people have given you, you feel bad for yourself, if you have strong sexual desires almost constantly, and you don’t like losing control of situations, Staphysagria may be for you. People who take this drug usually have periods of extreme anger triggered by the smallest things that they normally cannot control, and they find themselves blowing up on innocent others around them. Anxiety is an emotional condition in which the person feels fearful, troubled, and nervous. One commonly experiences anxiety during times when they are unable to predict or control situations that appear to be unsafe or threatening. There are physical symptoms that are related to anxiety, such as sleeping problems, muscle tension, headaches, and restlessness. If the levels of anxiety are heightened, then the person would experience sweating, an increase in blood pressure, a faster heart beat, and the feeling of nausea and dizziness. Everybody does experience anxiety. Many people often experience this when they find themselves in an unfamiliar or new circumstance such as talking in public or taking a difficult exam. It is normal to feel a small or average amount of anxiety during these events. As a matter of fact, the feeling of anxiety can be beneficial since it inspires one to get ready for an imminent event and to keep them concentrated on it. There are many anxiety disorders however that can be detrimental to the overall well-being of the individual. One way to combat these would be through homeopathic medicine for anxiety. Another homeopathic medicine for anxiety, it is best taken before a major event such as a public speech or an interview. These events usually trigger the following symptoms: diarrhoea, craving for strong flavours, feeling dizzy and emotionally upset, and a tendency towards strange thoughts and impulses. This remedy is best for those who experience a “slight cold” that darts throughout their entire body. They usually find it hard to keep themselves warm. They also usually have a craving for sweets and tend to become tired easily. This feeling takes place usually because of too much work. Symptoms that the person experiences are night sweats, cold hands and feet, the feeling of nausea and dizziness, excessive perspiration, a sensitivity to light, and a large appetite but with a slow digestion. This is best taken by those who feel exhausted due to illness or because of working too much. They usually have a feeling of being deeply anxious and unable to cope with it. Oversensitivity is another symptom such as being startled by normal sounds. They have frequent backaches and upset digestive system. This remedy is effective for those who frequently experience being anxious due to clinginess and insecurity. They need to be constantly comforted and supported because they do not wish to be alone. They get moody and discouraged quite easily, and dislike being in a stuffy room that is too warm. Take this medicine with extreme precaution and at minimal dosage and do not take it when pregnant or lactating. This homeopathic medicine for anxiety is best for those who are serious and capable, but are also withdrawn, edgy, and easily loses confidence. Anxiety is heightened considerably when they have to confront events such as an exam, an interview, or a public appearance. Symptoms that indicate the need for this remedy can be: oversensitivity, worry, difficulty in concentrating, easily catches illnesses such as sore throats and colds, and exhaustion. Anxiety is such an awful sensation, which includes paralyzing, undermining and agonizing. There is no amount of self-talk will ease it, and the drugs used to treat it are overloaded. I such case what’s a sufferer will do? Seek out assistance of homeopathy. Homeopathy has a reputation for addressing performance anxiety without any side effects and provides ease completely. Although it’s often suitable to work with a certified homeopathic consultant for this type of suffering, it’s worth discussing the cures most commonly used in a homeopathic practice. Gelsemium is a cure that is used for someone who feels weak and afraid of a forthcoming event. It affects speakers, performers, courtroom lawyers and anyone who has an upcoming occasion which causes anxiety. By taking every few hours up and when the event is at hand, Gelsemium will eradicate the symptoms that are so irresistible. It will also reduce the possibility of the return of such an event. No more weakness and no more suffering. There is the anxiety that is connected with various events that are fear of flying, leaving the house, anxiety when thinking of new endeavors, etc. When the list is too long to talk about, the cure is often Agaricus. It is a strong, but gentle, cure that can slowly and consistently heal the sufferer of his anxieties. This can be done by stimulating the body’s capability to bring itself to its greatest economy. Aconitum is an ideal cure for anxiety that results from a previous frightening experience. This might be needed after an experience that taken place various years ago like after having been mugged, witnessing 9/11, undergo with an earthquake or witnessing war atrocities. These are all potential shocks to the system that can be held on a cellular level for several years, if not for a life time. This cure will alleviate the distress and allow the sufferer freedom from the thoughts or even just the residual sensations. Indeed, a person doesn’t even think about the specific cause anymore. There are other cures that are also of great value in the polite, gentle world of homeopathy. They must be specifically selected for the person, not the pathology. Also, homeopathy treats the entire person. So not only will the anxiety be removed, but so will the wakefulness, restless legs and constipation. Homeopathy is medicine which fetches the person to his most suitable place and most importantly it works, without any risky side effects and costly meds. While some aspects of herbal treatment relate to and seem similar to homeopathy, the two methods of medication differ greatly. The biggest difference is that herbal treatment is all natural, healthy with no side effects, and usually comes especially from plants. The drugs used for homeopathic treatment are mostly natural, come from plants, animals, and minerals, and they’ll usually have some side effects. Homeopathic treatment can take lots of time and effort to get just right, but herbal treatments, though usually not used to cure everything, only take one or two times to work. Herbal treatment is a safe and natural treatment, but some argue that it is not sure to work. This is because most herbal treatments don’t actually involve drugs that do things to your body. Herbal treatments are designed to relax the mind and they body, to soothe and help you unwind. You really can’t overdose on herbal treatments, and they probably won’t hurt you in excessive amounts. One of the biggest perks of herbal treatment is that it is usually highly psychological, it produces no side effects, and it is naturally just from plants. Rarely is there an actual drug in treatments. There are some examples of all-natural, drug-free herbal treatments below. Herbal teas are one example of an herbal treatment. These teas have extracts of certain plants that are designed to help make the body feel better. The psychology of knowing you’re drinking a safe, healthy and natural drink can help soothe your mind as well. The combination of a good, sweet smell and a warm mist from the tea can also help relax you. They’ll have a warming effect inside the body and that can also help to relax you. Essential oils are another example of herbal treatment. These oils are made entirely with things from the ground, and they’re supposed to have supplements in them that make the skin softer, and that seep down into the blood stream and create a cool, soothing effect upon the body. The scent of these oils is supposed to help you unwind and relax as well. Another type of herbal therapy is done with pebbles and stones. Certain coloured stones are placed on certain parts of the body, and these stones are supposed to help balance out your body in relation to your mind. It has been said that this treatment can work, and can help to relax you. It’s more of a spiritual experience than anything, and it depends largely on your outlook of the treatment. This treatment method is quite different. Drugs are often used here, and most of them are natural, but not all of them. Homeopathic drugs are designed to cure certain symptoms, and do more than just calm the mind and balance the body. Homeopathic drugs are actually supposed to take away signs and symptoms of depression. Homeopathic drugs can come from plants, animals, and minerals. They can be extracted from teeth, tissue, roots, and so on. Homeopathic drugs usually do have a few side effects such as vomiting, nausea, and headaches. Some drugs used for homeopathy can be dangerous if not used correctly. They can make symptoms appear that weren’t present before the use of the drug, some can cause weight problems, some thin the blood, and some can even cause death. Some of the drugs can be man-made, and natural drugs can sometimes be tampered with. Some natural drugs have to be tampered with in order to make them fit for human consumption, and those are the drugs that have to be measured very carefully. If not, it can cause dire situations.